Have you ever noticed that your cat has developed bald spots? You may think that it’s a natural process and that every cat loses their hair during a particular season at some point in their lives. But unless your cat is of a sphinx breed, hair loss is usually a sign of an underlying problem. Hair loss in cats, also known as alopecia, is the complete or partial loss of hair in felines. The most common cause of alopecia which veterinarians suggest is skin allergies. There are a few types of alopecia which exist. Some cats have hereditary alopecia, meaning that they can never grow hair and will never have any hair on their body, like the sphinx cat breed. Another type of alopecia is pinnal alopecia. It is usually known to develop outside of the ear pinnae. Pinnal alopecia is very common in Siamese cats and usually resolves with time. Another type of alopecia is the thinning of hair between the ears and the eyes. This type is known as preauricular alopecia and it is fairly normal in every cat. The skin surrounding the area of hair loss can appear normal or it can have redness, bumps, scabs, and skin loss. Alopecia may appear in a symmetrical form, or it might be in random areas of the cat’s skin. Cats who do not have any of the above mentioned types of alopecia usually suffer from acquired alopecia. Acquired alopecia is not a disease in itself, as a cat is not born with it. It is often caused by external factors, such as those listed below. Pets typically get infested by fleas at some point. However, there are some cats who are highly allergic to the antigens in flea saliva. It can cause them to itch miserably, and many cats lick their fur as a way of attempting to relieve the itch. Excessive licking can then cause bald spots. A cat may also groom itself excessively if it’s suffering from neuropathic pain. Moreover, anxiety and stress may cause hair loss. When a cat is in pain, it will lick the afflicted area excessively to get rid of their discomfort. Excessive licking can pull out hair and cause hair loss. 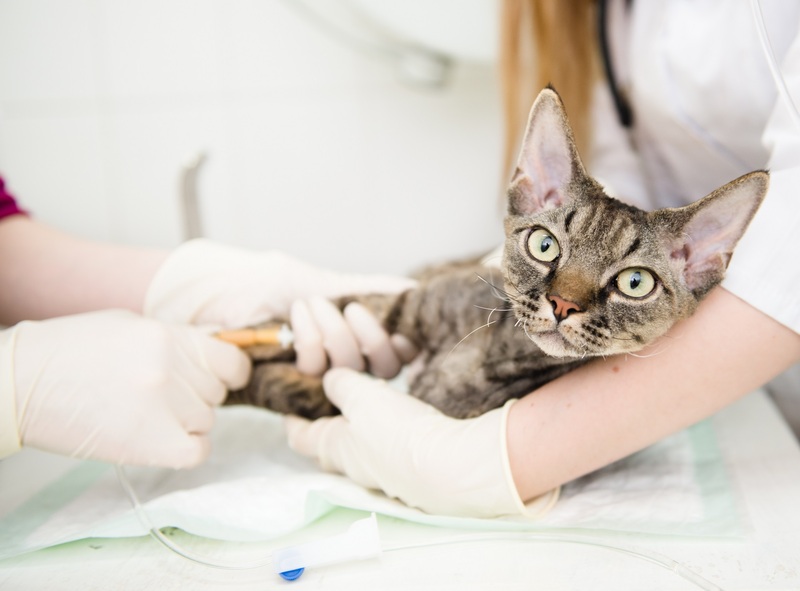 Some cats who develop infections in a specific place tend to lose hair in that area. Infections like ringworm and fungal infections can cause a cat to lose hair. Oftentimes, if a cat has a hormonal imbalance or a high level of steroids, it may experience a loss of hair. With abnormal hormone levels, the hair follicles tend to die and the hair may not grow back. Neoplasia, a form of cancer, can cause a loss of hair in cats as well. This type of cancer is rare; however, if you think your cat is suffering from it, contact your veterinarian. If the alopecia is due to a skin disorder (e.g., skin erosions), thyroid imbalance, or another hormonal imbalance, there are medications and topical treatments available. If the hair loss is due to a behavioral issue, modification treatment can be taught to lessen the problem. Contact Northside Veterinary Hospital today to see what options your cat may have!